John Law, the mastermind behind this great bubble of Mississippi company. John law was a man with a story. He was born in 1671 at Edinburgh of Scotland. His father was a Goldsmith. Being born in a wealthy family, he joined his family business and started leaning banking under the guidance of his father. Later on, for further studies, he was sent to London for higher studies. He had a passion for women and gambling. Due to this he lost his sizable money in gambling. But he was very brilliant and known for his ability of wining cards by calculating odds mentally. To the worst, he killed a man in a duel resulting him found guilty in murder and was sentenced to death. Later on, his sentenced was commuted to manslaughter and fine. 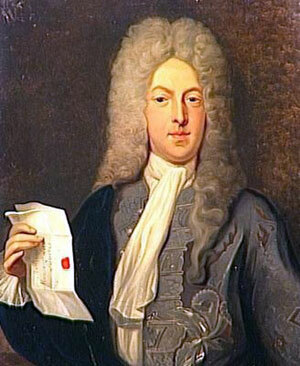 However, he managed to escape to London and then flew to Europe in 1694. Continuing his education in banking and economics he started developing his own economic theories which was very popular in those days. He returned to Scotland in 1705 and did the most important work which was a book titling ’Money and Trade Considered, with a Proposal for Supplying the Nation with the Money’. He stated that the main responsibility of the government was to increase the overall wealth of the country. According to him this could be done by circulating money in the economy. He used to believe that use of paper currency instead of precious metals like Gold and Silver will be advantageous. According to him, it would be easy to circulate the paper money in the economy rather than circulating the Gold and Silver. Don’t forget, he proposed this in very first decade of 18th Century. 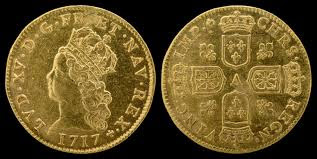 Until 1719, France never had a circulating paper money. It was the first time when John Law’s Banque General issued paper notes.